Dental bonding is a cosmetic procedure that involves applying a composite resin material to improve misshapen teeth and conceal small flaws such as chips and stains. The procedure, also known as tooth bonding, is the quickest and least expensive cosmetic dentistry procedure. Dr. Samir Ayoub provides dental bonding to patients in San Francisco, both as a standalone procedure or as part of a comprehensive smile makeover. 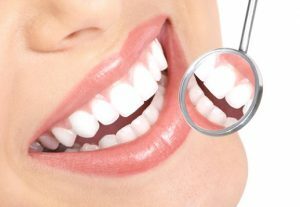 Dr. Ayoub has extensive experience performing tooth bonding procedures and is renowned for the impressive aesthetic results that he has been providing for Bay Area dental patients since 1976. If you are interested in dental bonding, the first step is to consult with Dr. Ayoub and discuss your goals of treatment. You may mention that you dislike a space between your front teeth, or that one of your teeth looks significantly smaller than the other teeth. If Dr. Ayoub determines that dental bonding is appropriate for your needs, he will use a special guide to help him select the resin color that bests matches the color of your teeth. Typically, dental bonding can be completed in a single appointment. It does not require impressions or molds, or temporary restorations. Prior to beginning treatment, Dr. Ayoub will place a rubber piece to isolate the teeth from the gums and prevent moisture from interfering with treatment. After the tooth has been prepared, Dr. Ayoub will carefully apply the putty-like resin to the tooth. He will mold and smooth it until the tooth has the proper shape and size, adding more resin as needed. Then, Dr. Ayoub will harden the bonding material with an ultraviolet light or laser. After it has hardened, he may make some final adjustments to the material, and he will polish it until it looks translucent like natural tooth enamel. When Dr. Ayoub is finished, the bonded tooth should be indistinguishable from the surrounding teeth. With the proper care and attention, dental bonding can last for years. The key is to avoid eating hard or sticky foods or chewing on substances that could crack the material (e.g., ice or pen caps). Bonded teeth should be brushed and flossed regularly. Keep in mind that composite resin material is not as strong as natural tooth enamel and will not sustain chronic tooth grinding or clenching. If you are interested in learning more about dental bonding and how it can help improve the appearance of your smile, please contact our office today. We invite you to schedule an appointment with Dr. Ayoub by calling (415) 781-2227.